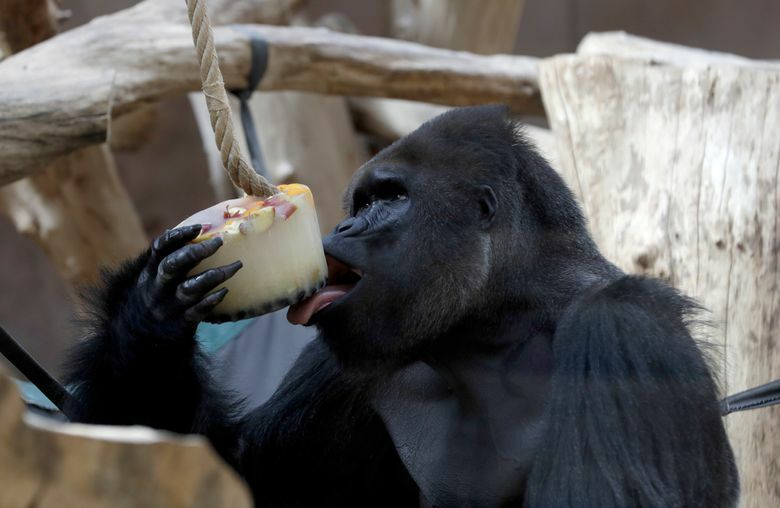 PRAGUE (AP) — Gorillas at Prague’s zoo are keeping cool during the European heat wave by eating sorbet. 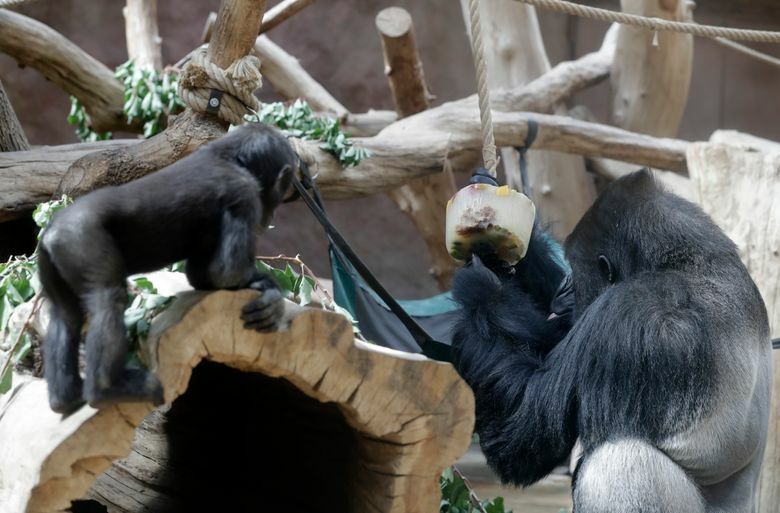 The zoo’s eight Western lowland gorillas have been getting the treat almost every day during the summer in small plastic pots. 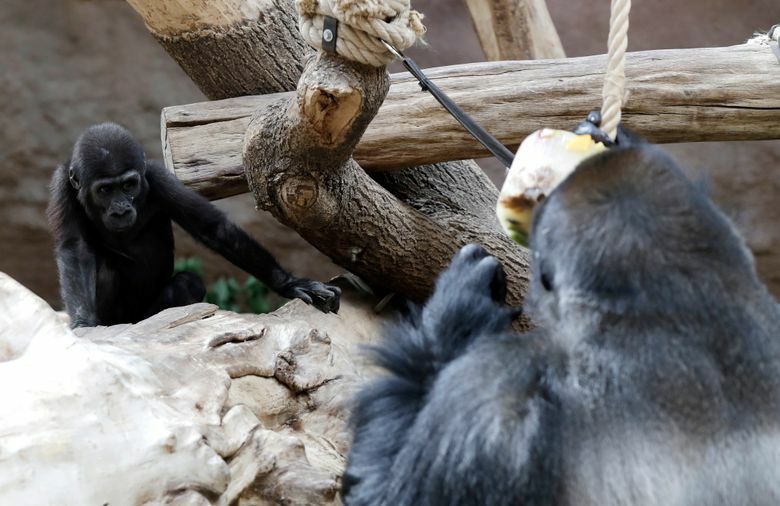 Primate keeper Vit Lukas said that the zoo generally limits fruits with high sugar content, such as bananas and grapes, to prevent gorillas from getting obese. 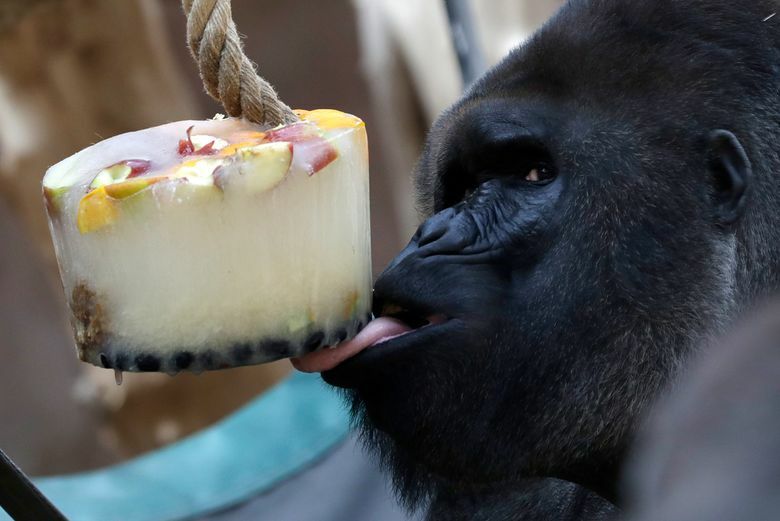 Richard, the dominant male in the group, immediately seized one of the massive chunks of ice, licking it and trying the extract the fruit from it. 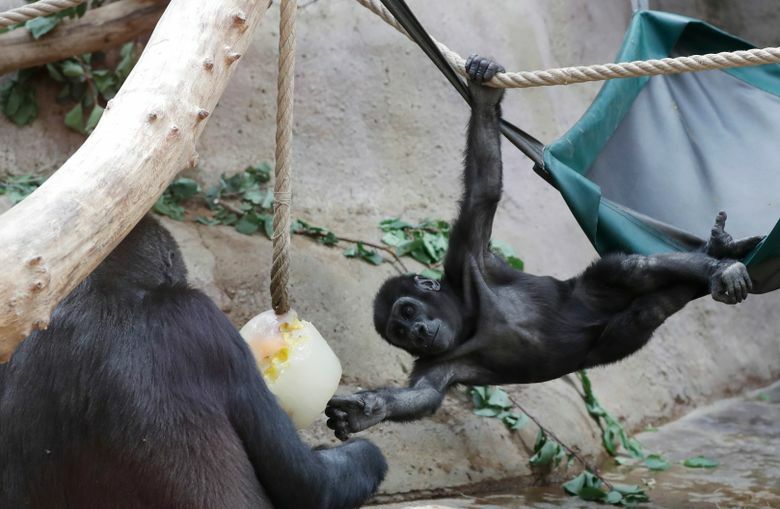 His 2-year-old son Ajabu tried to grab a bite from him, but ended up empty-handed. 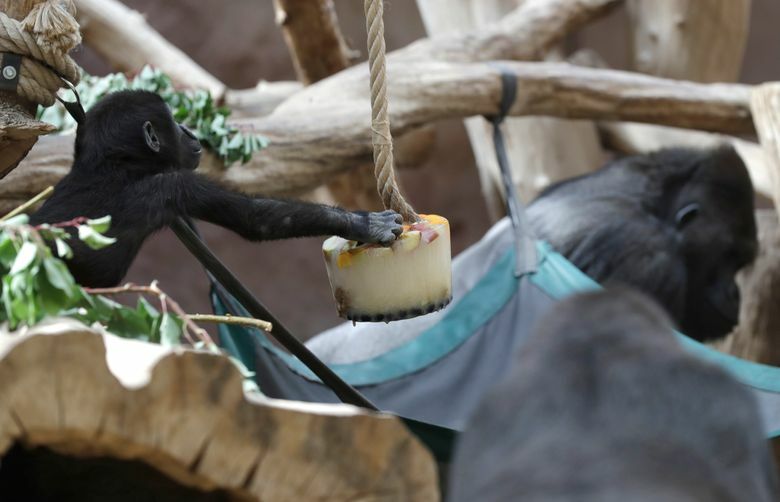 In a clear hierarchy of the group, the seven remaining gorillas had to share the block of sorbet.